THIS has been a year of so much loss. Muhammad Ali, Prince, David Bowie, George Michael, Florence Henderson, Alan Rickman — all gone, all too soon. But the celebrity whose death is affecting me, and many of the women I know, with unequalled force is writer and actress Carrie Fisher, who died on Tuesday, a few days after suffering a cardiac arrest on a flight from London to Los Angeles. Why is Carrie’s death the one that pierces us the most? Why did her presence feel so familiar, her passing so personal? I think it’s because she made us feel like she was our best girlfriend. 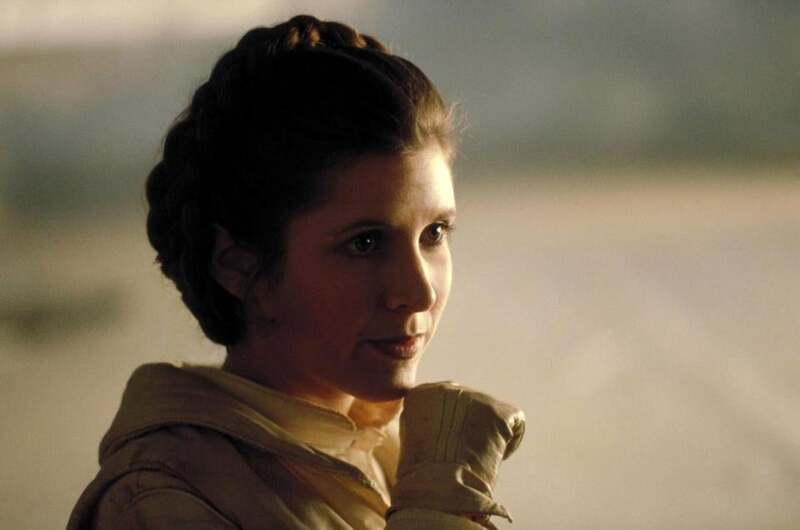 Despite her Hollywood lineage as the daughter of Debbie Reynolds and Eddie Fisher and stepdaughter of Elizabeth Taylor, her former marriage to singer-songwriter Paul Simon, her iconic role as Princess Leia, her success as a writer, she never acted the role of the untouchable star. Over the last several years, wherever you found Fisher, you could find Gary. She confided in us and trusted us with her confessions — about her drug and alcohol addictions, her battles with bipolar disorder, her conflicts with her famous mother and tender love for her, her sometimes questionable choices in men. And she did so with a sharp, self-deprecating humor that drew laughter and compassion from us — not pity, never pity. She made us feel like there was nothing we couldn’t share with her, too — and nothing so tragic that it couldn’t elicit a sly, snarky observation from her. And so after Carrie fell ill, my friends and sister and I texted and called and worried — just as we would about any girlfriend. We checked our phones first thing each morning for an update on her condition. And when she died, we grieved. Last April, a friend and I saw Carrie receive the Humanist Lifetime Achievement Award at Harvard, primarily for shining a light on mental health issues. Although the purpose of the evening had nothing to do with “Star Wars,’’ an orchestra played the movie theme and people dressed as Darth Vader and Chewbacca, among others, posed for pictures, and sat in a special section. After decades of practice, Carrie accepted the silliness with grace. What she probably didn’t realize was that when she gave her talk, much of the audience could not see her, because she was blocked by a huge statue of a golden eagle affixed to the front of the podium. The situation would have disturbed many an A-Lister, but I think it would have appealed to her appreciation for the absurd. But, here’s the thing: Carrie wasn’t a diva, she was a girlfriend. And that’s why some of us will miss her most of all. Meta Wagner is author of the forthcoming book “What’s Your Creative Type? : Harness the Power of Your Artistic Personality.’’ Follow her on Twitter @meta_wagner1.